Federal funding allows us to reach senior citizens with nutritious food items provided by the USDA. This federally funded program works to improve the health of senior citizens living in poverty who are at least 60 years of age. The USDA ships nutritious foods directly to Utah Food Bank, including canned fruits, vegetables, cereal, cheese and more. 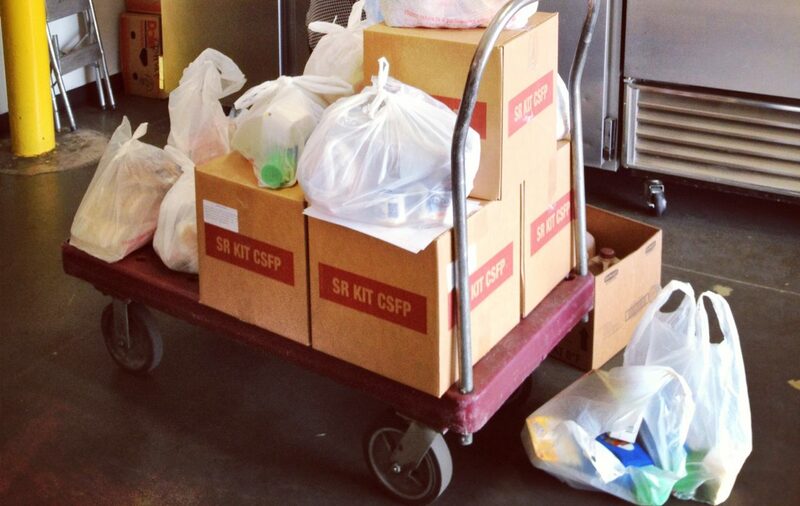 Last year, 35,978 CSFP boxes were delivered by volunteers and Utah Food Bank staff to individual residences and senior housing sites or picked up at local pantries. This calendar outlines the distribution of both CSFP and UFB boxes. In some instances, both program boxes will be delivered at the same time, however it is possible for them to be scheduled at different times. Each program delivery is highlighted and times are listed below. This page can be printed as a calendar or as a daily list by clicking Agenda. All details for each location can be found by clicking on the site name and then More Details. If any delivery issues arise, please contact Hillary Sorensen at (801) 887-1280 or hillarys@utahfoodbank.org.